WV-10 -The flexible Ensolite® foam flotation pads cover a minimum body area to increase ventilation and promote freedom of movement. 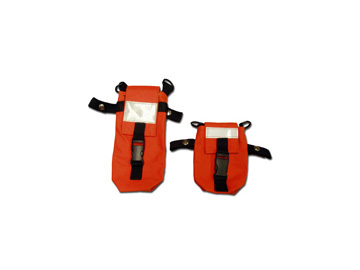 WR-2 - Made of durable fire resistant fabric, this welder's cover attaches easily to the front of most brands of Type V work vests and protects foam, fabric and straps from sparks. SFV-10 - This version of the WV-10 work vest, using Ensolite® flotation foam, has a slot in the back to facilitate wearing a fall restraint harness. 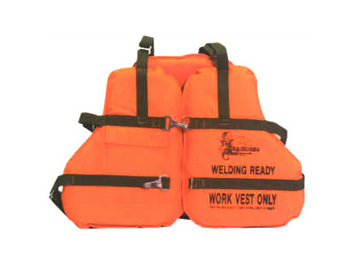 WV-9D - The same as the WV-9C but has a slot in the back to facilitate wearing over a fall restraint harness, Tthe snap hook and lanyard can be worn outside the life jacket. Pouch - Available in either short or long these pouches accomodate telephone, radio, walkie-talkie, etc. 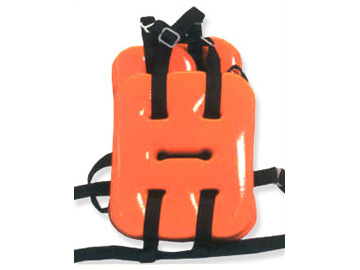 LP-10 - Designed with maximum buoyancy for high freeboard and quick righting of unconscious wearers. The large adjustable neck hole provides superior comfort for the wearer, while the compact rectangular shape makes it easy to store. 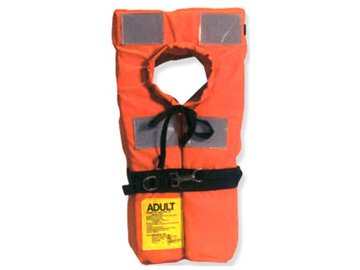 LP-2 - This life jacket closely follows U.S. Coast Guard drawings 160.0551B, models 63 and 67. A nylon acrylic fabric shell, polypropylene webbing, stainless steel hardware, and closed cell foam flotation make the LP-2 affordable and efficient. 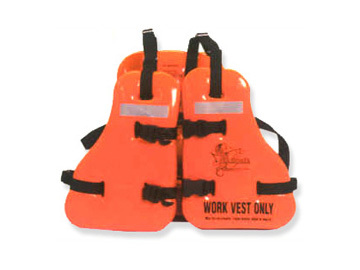 LP-1 - The value of vinyl coated life vest is long lasting. 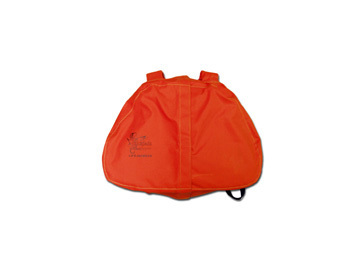 This design will far outlast fabric covered life jackets in use or in storage. The tough vinyl coating is easy to clean and resistant to caustics, acids, UV light, hydrocarbons, mildew, fading, dirt, tears and abrasions. 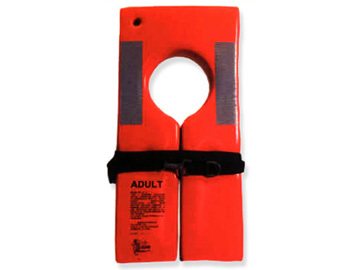 LP-11 - Ideal for vessels that carry large groups of children. 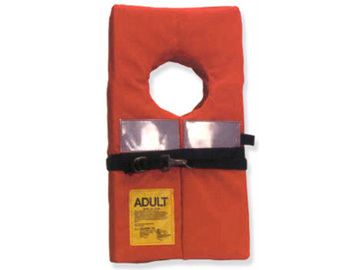 LP-11 will mostly eliminate the need to own a supply of of children's life jackets in addition to the normal amount of adult PFD's. 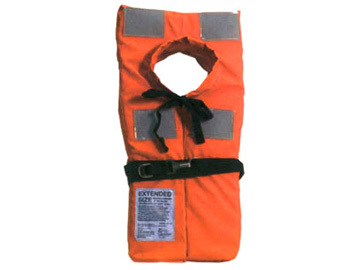 On passenger boats, it will reduce the required amount of +10% children's life jackets to +5%.